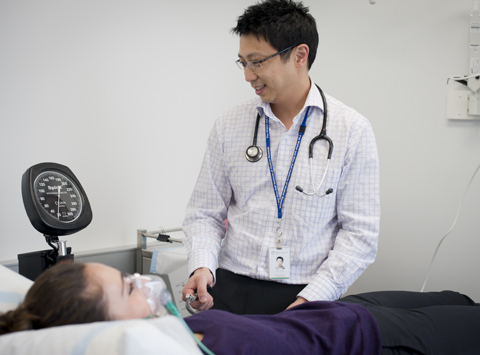 Our researchers are leading clinical studies into coeliac disease. Investigating how gluten affects the immune system in adults and children with coeliac disease. Investigating differences between gluten sensitivity and coeliac disease. Understanding how gluten causes symptoms and how they can be treated. Determining the safety of oats consumption in coeliac disease. These studies involve volunteers with coeliac disease, gluten sensitivity and healthy volunteers. Members of the public can participate, subject to meeting eligibility requirements. To find out more about these studies, please email coeliac@wehi.edu.au or phone 03 9345 2300 and leave a message. Patients who are interested in partaking in the Melbourne-based Phase 2 trial of Nexvax2® (RESET CeD) for the treatment of coeliac disease are invited to visit the Royal Melbourne Hospital website or contact the Walter and Eliza Hall Institute’s coeliac team at coeliac@wehi.edu.au. For a list of sites offering the trial in Australia please visit the Coeliac Australia website.